Recently, we saw a lot of technological advancements and now, smartphones are a part of everyone’s life. Well, smartphones are not the only smart devices or gadgets that we use these days as now, we have the smartwatches, smart TVs and many more smart devices. A point to be noted here is that not all gadgets that carry the label “smart”, are actually smart, it only means that it is connected to your smartphone via an app or via Bluetooth. These smart devices are making our life a lot more easy and that’s the reason these devices are a part of our daily life. Running a business comes with a lot of responsibilities, not only towards your business but also towards your environment. Therefore, you should use a solar energy USB charger. As the named says the battery of the solar energy USB charger gets charged from the solar energy and then you can use it to charge your smartphones, tablets, and many more devices. Having a cup of coffee at work will be a bit more comfortable with a cup holder that can help you to not spill your coffee on your desk area. Chances of spilling your coffee on any important documents and files while drinking are reduced to a very satisfactory level. This cool product is very handy for people who can’t get off their desk to have a coffee or tea and thus, a cup holder is the best solution for them. Stuck between two choices? Can’t decide what’s more suitable? Facing a lot of confusion? No matter what, if you can’t decide on something and if you want someone to decide something for you randomly, then this decision spinner is the coolest gadget for you. If you want to have lunch and you can’t come to a final decision then let decision spinner help you in making one is the best thing you can do. Decision spinner is fun to use and at the same time, it effectively helps in making a final decision whenever you want. Are you planning to hit the gym but can’t make time for it? Well, it is not only your problem, people who work in the office, they just have to just sit in one place and work have shown that their health is not productive. Such treadmill desk can help you walk and work at the same time. This is a gadget which is one of the most popular one in the list and it is the most used one as well. These Digital Smart Pen can help you in converting the written text into the computer and can even record the conversation in the conference meeting room. If you are working as a secretary or personal assistant who have to keep an account of daily work and meeting conducted in the office, then this is a very amazing gadget for you. If your sticky note got over and you urgently need one more, then a desktop sticky note can help you in storing information virtually on the computer. It reduces the cost of buying a new paper sticky note also, there is no chance of the sticky note to get lost or torn. Therefore, desktop sticky note is the coolest gadget app ever. Now, this is something that will maintain the privacy at work. Your employees are always curious and they want to know everything that you do other than work, but whenever you want to browse some information that is not related to your work, and at the same time, you want anyone to keep it all private, then monitor rear view mirror is the best gadget for you. It helps you in getting a rear-view so that you can browse without your co-worker getting a sneak peek of what you are doing. It’s high time that you’re using the old classic calendar. It’s time to buy a calendar that can get your attention and amaze you at the same time. Go and buy a calendar which has a lot of features. The reason why we call it a magical calendar is that it has some amazing features like lightings and also it tells the weather forecast for the day. This desktop organizer helps you in organizing all the stationary items and phones. A desktop organizer is loaded with a cup holder, a pencil holder, a sticky note compartment, keeping pictures, phone holder and much more stuff. A desktop organizer will help you in making your workstation look neat and less messy. A neat and tidy workspace will fetch you good compliments from your senior and even your boss will respect you for keeping the workspace productive and organized. These amazing gadgets and apps will make your time at work really fun and joyful. Just add them to your office cabin and see the change. 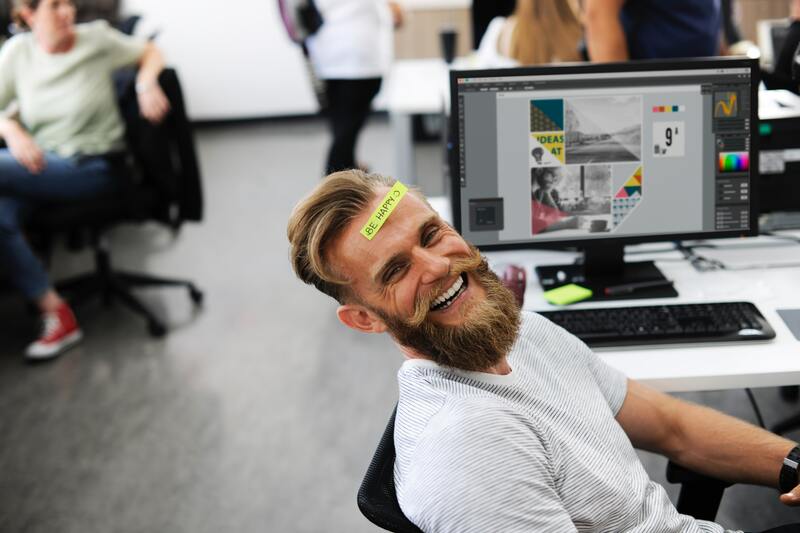 When you enjoy your time at work, you are more likely to work harder, better and fetch more positive results effectively and efficiently.Therefore, give your office a complete makeover with these things and have a fun time working hard! Which is your favourite gadget at work?